Second year of project «Winter at the Park» was presented at joint press conference of the Department of Culture and the Sokolniki Park. Traditional 17,000 square meters ice rink will retain its location on a great circle, and, as before, will be free. New rink with synthetic ice will be located on the square in front of the Festival Pavilion. Cafe «Moroz i solntse» from the creators of famous «Jean-Jacques» will also be opened on the ground floor. The entrance to the ice rink will be occupied by another place – the Italian restaurant «MAKARonnik». They will host night parties with famous DJ’s. 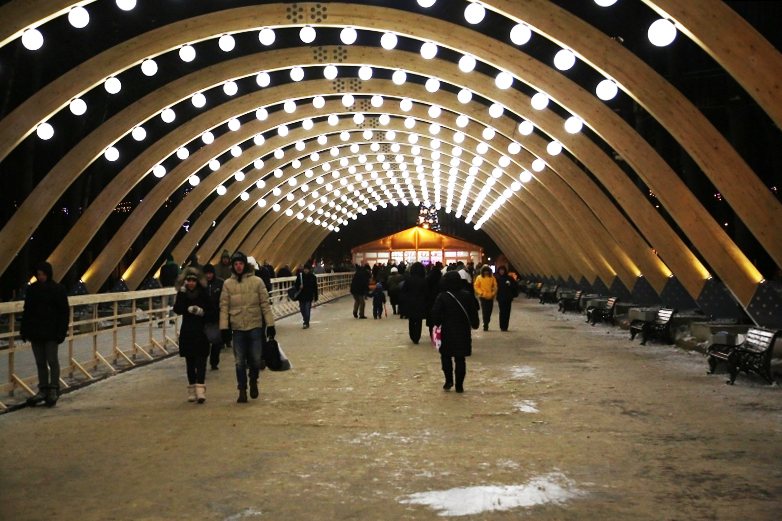 Another notable addition of the «Winter in the Park» will be the longest slide in Moscow. The modern all-season slide is equipped with a mechanism for lifting guests on tubings. There also will be an ice labyrinth area of 280 square meters and a special children’s slide, divided into 4 strips for safety.